10 Sequential Lessons for Ages 4-6. Composed by Donna Brink Fox, Karen Farnum Surmani, Christine H. Barden, Gayle Kowalchyk, and E. L. Lancaster. Classroom/Pre-School; General Music and Classroom Publications; Other Classroom. 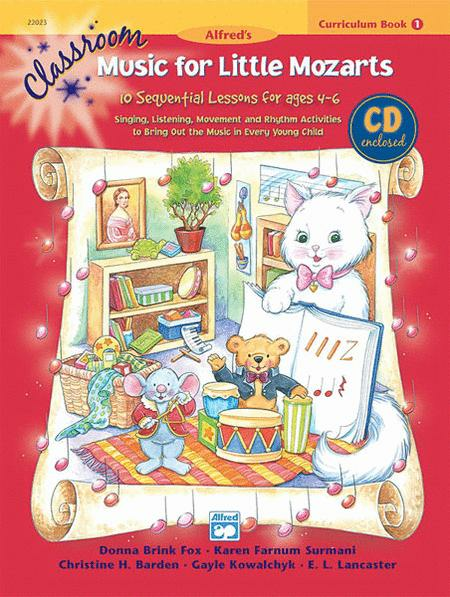 Music for Little Mozarts. Children. Book; CD. 136 pages. Alfred Music #00-22023. Published by Alfred Music (AP.22023). Great beginning course for preschool kids. Very complete with detailed lesson plans.